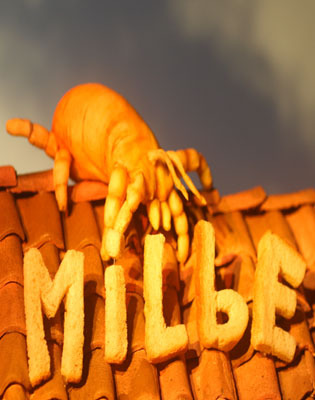 MILBE (MITE) is a short animation film about a grandmother, Oma Grete, and gigantic house dust mites that threaten to destroy the world. Director's Bio: Karl Tebbe was born in 1970 in Dortmund, Germany. He obtained an MA in Applied Theatre Science at Giessen University, Germany in 1996 and has acted in various performance theatre pieces. He attended the International Film School in Cuba in 2002 and recently completed his cinematography studies at the University of Applied Sciences in Dortmund. 'Milbe' is his graduation film.